Every element comes together in perfect proportion in this whimsical Art Nouveau bracelet. 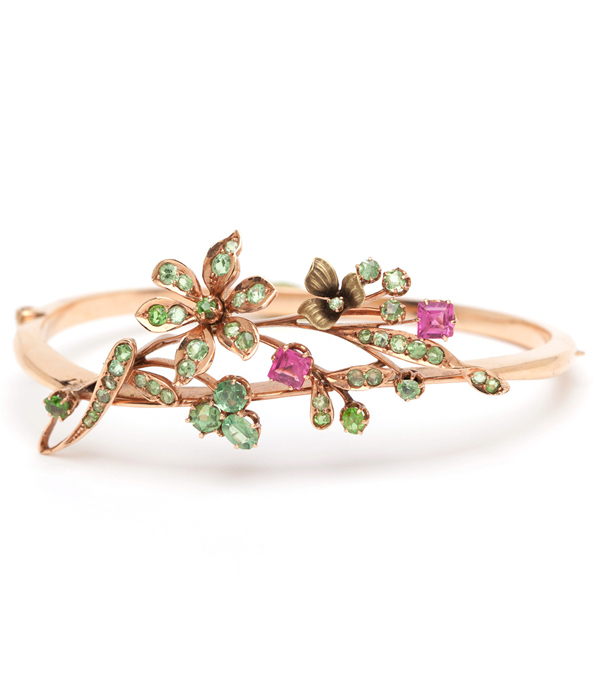 This substantial 14K Vintage Art Nouveau Rose Gold Pink Sapphire Enamel Bangle Bracelet is decorated with a spray of peridot-set flowers and leaves and counter-pointed with two step cut pink sapphires. (Sapphires show slight damage to the corners.) One lightly enameled leafy accent spins along the outside edges. 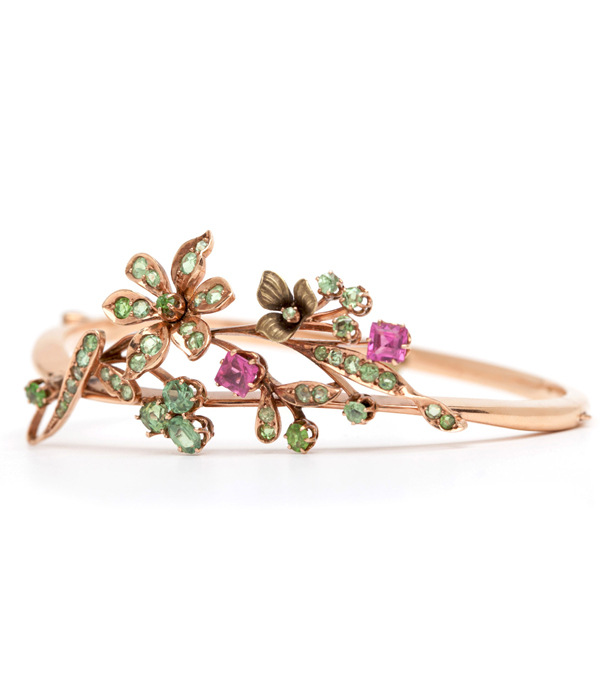 Fun, romantic, and beautifully executed, this Vintage Art Nouveau Rose Gold Pink Sapphire Enamel Bangle Bracelet makes any outfit, and surely creates conversation and loving eyes wherever it goes! Categories: Art Nouveau Jewelry, Vintage Bracelets.